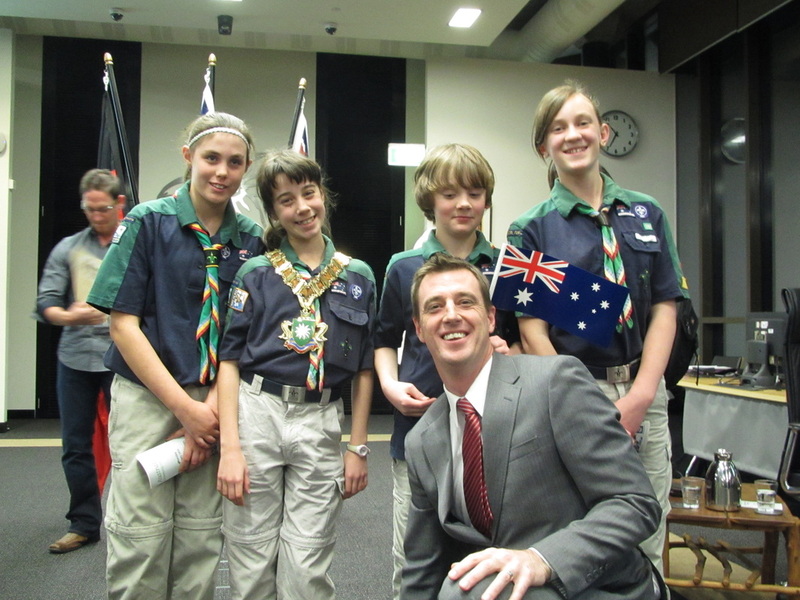 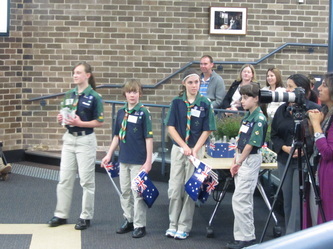 As part of their Citizenship work Carissa, Mitchell, Bronte and Melanie represented the Scout Association at the Warringah Citizenship ceremony. 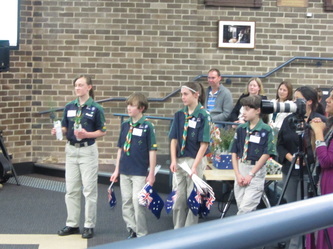 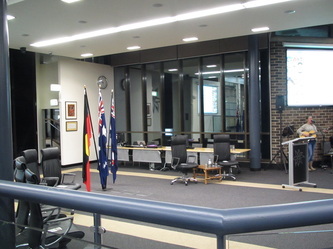 Their role included directing people to their seats, handing out a seedling and flag to the new citizens. 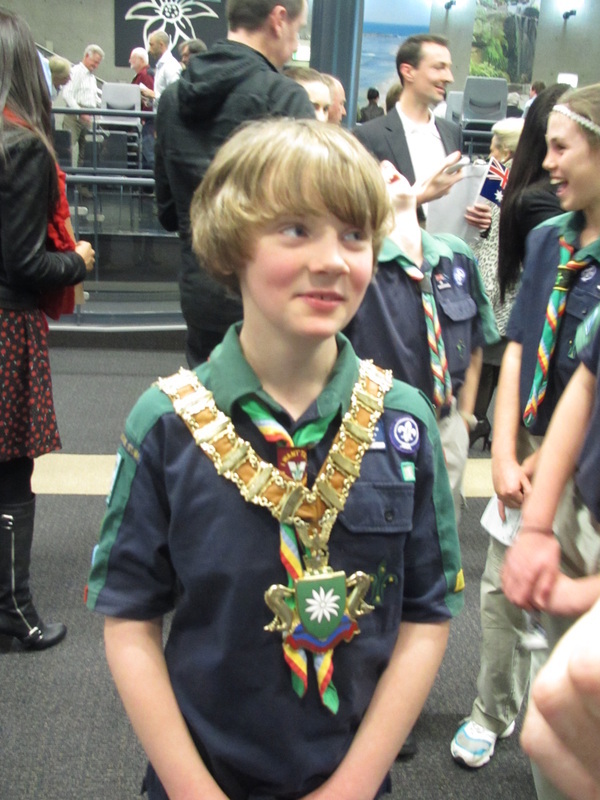 Afterwards they spent a few minutes with the Mayor and got to try on the hefty chains of office.